Both Erika and Marlou have been active in medical advocacy communities, Erika with Fabry International Female Initiative (FIFI), an organization that fights for women to get the same attention as men who are diagnosed with Fabry, and Marlou with the European Patients Forum (EPF), which focus’ on youth health care rights. 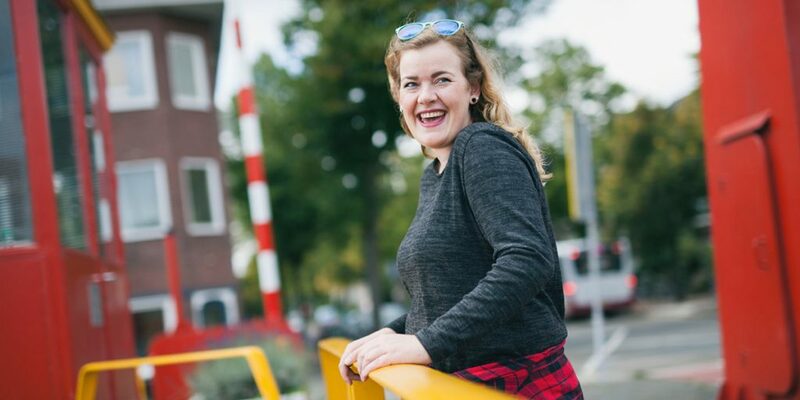 Marlou attends conferences twice a year, and recently organized a seminar for people with diabetes who are unable to get jobs because of their condition. It is also easy to miss at first glance that Marlou — a spontaneous, creative, and outspoken 24 year-old — suffers a more severe case of Fabry than many women, including her mother and sister. “When a day is okay, I can do anything. I can conquer the world. And when it’s not fine, I cannot even conquer the stairs. I’m feeling like a sack of potatoes that’s been thrown down. Can you imagine what a potato feels, all smashed up like that with his potato friends?” Even while talking about the difficulty of her condition, Marlou’s cheerful, joking nature is palpable. It’s 6:00 pm on a Friday afternoon and Natalie is in her office, working late in preparation for a legal trial next week. A successful employer-defense attorney, she enjoys her work and it keeps her busy. “I love being aggressive and fighting,” explains Natalie. This is an approach she knows all too well living with Fabry disease, a rare lysosomal disorder where an enzyme deficiency leads to the buildup of disease substrate globotriaosylceramide (GL-3) in vital organs. Natalie’s family is quite familiar with Fabry. 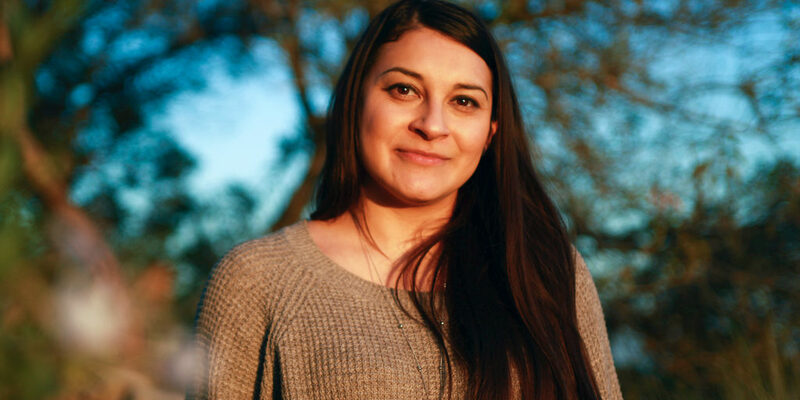 Her father, Raul, an indigenous Mexican-Californian, also lives with the disease. Her paternal grandmother succumbed to Fabry when Raul was just 13 years old, back when it was not well known and women were not considered affected by the disease. Raul was one of the first to participate in early clinical trials, granting him access to therapy. At the same time, Natalie’s parents instilled in her the belief that her condition did not make her a victim. “My mother has always been very supportive,” says Natalie, acknowledging that her mom acted as caregiver to both her and her father—not a small feat. In time, Fabry has become a unique father-daughter bond for Natalie and Raul. “We always reach out to each other when we are having a [pain] crisis or not feeling well,” she says. Raul also stays on top of Fabry-related research and talks to Natalie about her health and treatment options. A fellow lawyer, Nardo has become a supportive partner to Natalie. “Once I got to know her, I was able to learn about Fabry symptoms and to ask ‘What’s wrong?’” Together, the couple attended a patient conference held in San Diego. “That’s when it really hit home for me,” says Nardo. “There are issues associated with Fabry that she may not exhibit, but are things to look out for.” Nardo remains involved and travels with Natalie to the hospital for her disease management. On the weekends, Natalie often unwinds with Nardo. They love to go out and enjoy the incredible variety that living in a place like Los Angeles has to offer—fresh seafood, trendy restaurants, and diverse cuisine from all over the world. “We’re foodies,” says Natalie, with a shimmer in her eye. Together, they are able to lead a rich and full life, allowing the circumstances and complexities of Fabry to remain a side-dish, while they enjoy their entrée. Her twin sisters, Saskia and Kitty, have been luckier. While they have the disease, they have yet to show consistent symptoms, and thus aren’t on any form of medicine yet. As the family looks towards the future, there are unmistakable signs of hope for overcoming this disease. Sora climbs the steps of the slide with calculated confidence. He moves in an explosive burst, then pauses to catch his energy before taking the final steps to the top. Now standing on the platform, he smiles proudly out over the entire park—a king in his own backyard. Taking a deep breath, he glides down the aluminum-coated slide, rallying his might at the bottom to push himself up from his seated position. Even with the extra effort these actions require, his joy is palpable, and with each trip down the slide, his eagerness grows. When he finally tires, Sora returns to his mother’s side, who is seated on a bench at the far end of the park. Yoshie presents him with a large candy, in exchange for a kiss, and the two let out an identical laugh. For the Saito family, Fabry disease is generational—knowingly affecting the past three generations. From her vantage point, Yoshie has seen the full spectrum of the condition. Her mother had Fabry when she was alive, she has Fabry, and now her son, Sora, is affected. With the difficulties of managing the painful symptoms of the x-linked recessive disorder, Yoshie and her family have risen to the challenges presented by Fabry and strived to maintain a much desired sense of normalcy. Yoshie started managing her own health as she grew older and eventually got married. Initially, she didn’t have a strong desire for children, but with time that shifted. The couple tried but had little luck conceiving, even with the support of IVF. “After trying for three years, I still couldn’t get pregnant,” says Yoshie. They decided to try one last time, with little hope it would work. “I was fed up with it. I was like, ‘This is the last time I get the treatment!’” Miraculously, that last IVF treatment worked, and Yoshie learned she was pregnant. Despite the technical nature of an IVF conception, Yoshie did not test for Fabry while she was pregnant. “I decided not to get [Sora] tested although I knew somehow that he would have Fabry,” she remembers. Sora was born healthy, and Yoshie waited a year to get him genetically tested. “When I found out about his diagnosis, I had mixed feelings,” recalls Yoshie. “I was shocked, but I also felt like I had a comrade.” Their bond has persisted through the last eight years, and despite the chance of having another child with Fabry, Yoshie conceived again, giving birth to Alia, who is not Fabry affected, a few years later. Having two children has inspired Yoshie to learn more about her own health and take a more proactive stance on living with Fabry. Unlike her mother, Yoshie was forthright in educating Sora about Fabry. “I explained his condition to him,” she says. “We have a children’s book about Fabry.” For Sora, this also means getting regular treatment, alongside his mother. Every-other Saturday, they make the two-hour trek from their home in Edogawa-ku, a part of eastern Tokyo, to Jikei Idai Hospital, near downtown. “We get our infusions at the same time,” says Yoshie, who has been receiving enzyme-replacement therapy (ERT) for the past 12 years. The interval between infusions helps Sora keep up with his schoolwork, an important priority, even for such a young boy. “He’s in elementary school now. If he misses a day, he will get behind,” she says. After returning from the park, Sora completes his math homework with an enthusiasm that rivals his love for playtime. “He likes to study,” says Yoshie, “and recently, he has been fascinated with magnets and the creation of electricity.” One morning, Sora woke up early, before his parents, and got a needle from his mom’s sewing kit box, magnetized it, and tied a string to it. “According to him, when you scratch that with aluminium, the needle points north,” says Yoshie. The consistent visits to the hospital have fostered a burgeoning interest in science and medicine for young Sora. “His dream is to work in the hospital where he gets his treatment,” says Yoshie, explaining the many sources of this aspiration. “He was born there, he gets his treatments there. I think at a job interview, he could proudly say, ‘I was born here and grew up here!’” One of Sora’s favorite books is a guide to human anatomy, which he reads regularly, especially the chapter about MRI scans—fascinated by the intricacies of the human body and the use of magnets in medicine. These lighter moments are rejuvenating for Yoshie who continues to deal with pain in her arms and legs. On bad days, the pain extends to her head. Aside from the omnipresent physical challenges, Yoshie has also been coping with the loss of her mother—a result of cardiac complications related to Fabry—a couple years ago. As her mother’s heart weakened with age (and cardiomyopathy), surgeons installed a pacemaker. However, the operation did not go as planned, and she became bedridden. “There was bleeding from her blood vessel which created a pool of blood,” says Yoshie. The excess fluid around her pericardium (heart sac) greatly restricted her heart’s ability to pump blood. She soon fell unconscious and would never wake again. Coping with her mother’s loss has given Yoshie more determination to stay on top of her and Sora’s health, regularly visiting a Fabry specialist. “For me, it is not my heart, but the kidneys that are my problem,” says Yoshie, explaining some of the renal challenges she faces. Despite the disease having a remarkably high prevalence in Japan compared to other nations, there are only certain physicians and institutions that are willing and able to assist people living with Fabry. This means that even routine healthcare, like visiting a dentist, or getting a checkup, can only be dealt with at a specialty hospital. Yoshie describes how Sora promenades through the halls of the hospital, with a jovial gait, exuding his friendly demeanor. “All the medical staff, including the nurses and doctors, treat Sora as their friend,” says Yoshie. “Everybody knows Sora.” Sora will peer into each room with fascination, hoping to catch a glimpse of an MRI machine or another medical mystery. He closes his eyes, imagining himself the day that he is a doctor, or a technician, utilizing science and technology to alleviate illness and explore the complexities of the human body. When the nurses prepare Sora for his infusion, he takes careful note of their exactitude and precision. Getting infusions was once a trying exercise for Sora, but with age, and improved understanding, his attitude has changed. “He doesn’t cry anymore,” says Yoshie. “He used to cry and I used to feel very sorry for him. But now I enjoy the communication between him and the staff.” Sora will quip and crack jokes while the nurses do their preliminary tests, lightening up the clinical scene. In a clownish manner, Sora laughs as he makes funny faces for the doctor, who often giggles back at him. It is moments like these that Yoshie rejoices in her decision to tell Sora about Fabry— unmasking the mystery before it has a major impact on him. “There was a time I was very distressed thinking that I gave this condition to my child,” she reflects. “When I was feeling blue, I realized that there are a lot of people who are suffering in the world… Crying doesn’t solve anything. I chose to smile and keep smiling as much as I can.” Sora has taken a parallel strategy. “You know, smiling brings a good fortune, right,” says Yoshie. “This is my favorite saying.” The two hold each other close, laughing hard while trying to keep the candy in their mouth, savoring an afternoon together, mother and son. Teruki (age 6) readies himself, calculating his approach before taking a shot on net. Guarding the goal is his older brother, Daichi (age 9), a friend at times, though more often a worthy opponent. The two have been provoking each other all morning and the intensity in Teruki’s stare says he’s about to settle it. With a dramatic windup, Teruki kicks hard—too hard—and the ball ricochets off a back wall before Daichi even has a moment to react. Just then, their oldest brother, Souto (age 11), appears and quickly takes control of the ball, dribbling around his younger siblings in a clear example of superior skill. Undeterred, Teruki runs off in search of their youngest brother, Tokiya (age 4), who is perfectly content playing non-competitively with toy trucks and animals. A family with four boys is like a never ending circus: skateboarding, hanging upside down, arguing over snacks and lining up to ride on Dad’s shoulders. All day the brothers run like rascals through the park, climbing fearlessly up the trunks of trees and, laughing wildly—their gapped-toothed smiles flashing the joys of childhood. Yuki and Junji are affectionate and playful parents and a loving support to one another. They imbue the boys with an encouraging sense of optimism and model a high degree of tolerance for their many antics. Their approach to parenting is especially poignant given that Yuki and the three oldest boys live with Fabry disease, a rare and progressive genetic disorder that may cause numbness and burning pain in the body, especially in the extremities, and may affect the functioning of the heart, kidneys and other bodily systems. For the Yoshie family, Fabry disease is an intergenerational story, one that is woven like threads throughout the family fabric. When Junji and Yuki were both 24 years old, they fell in love in a most unlikely place: a fire station. Junji, a well-regarded firefighter known for his dedicated work ethic and athletic skill, met Yuki the day she started working at the same department. They married within one-and-a-half years and were eager to build a family. When their boys were little, the whole world looked bright. They had never heard the word Fabry and didn’t know anything about the hereditary disease that would change the course of their lives. Yuki herself has not experienced many symptoms of Fabry, but the pain of watching three of her sons suffer is almost worse. All three of them currently experience pain and numbness in their limbs that is starting to limit their physical abilities. Yuki and Junji make deliberate efforts to teach them what they can do, as opposed to what they cannot. “Due to numbness,” Yuki explains, “they cannot play soccer during the hot summer days anymore. So we switched them to ping-pong. These are things we can do to adjust to their needs.” Yuki and Junji also stay on top of the latest medical treatments for Fabry. The two oldest sons receive enzyme infusions. While no cure currently exists for Fabry disease, Yuki and Junji hope to work with pharmaceutical companies and the general public to help educate and advocate for medicines that target rare diseases. “I am very thankful for any company that will make medication for us. I appreciate it and I want the companies to know about us patients, too.” Junji also looks forward to the outcome of medical research. He is confident that medical advances will occur within his children’s lifetime so that they, and others with Fabry, will be able to lead healthy and productive lives. When he thinks about his boys, he laughs, affectionately calling them “messy, unfocused little rascals” and he hopes to keep them this way—happy and healthy enough to climb up on his shoulders and look out at the world as a place of infinite possibilities. By talking openly about Fabry at home and in public, Yuki and Junji plan to break down the barriers and stigma about disease in Japan and in turn, provide their children with all the blessings the world has to offer. The flowering bushes and cherry blossom trees on the Nagoya University campus bloom in deep shades of pink and white. 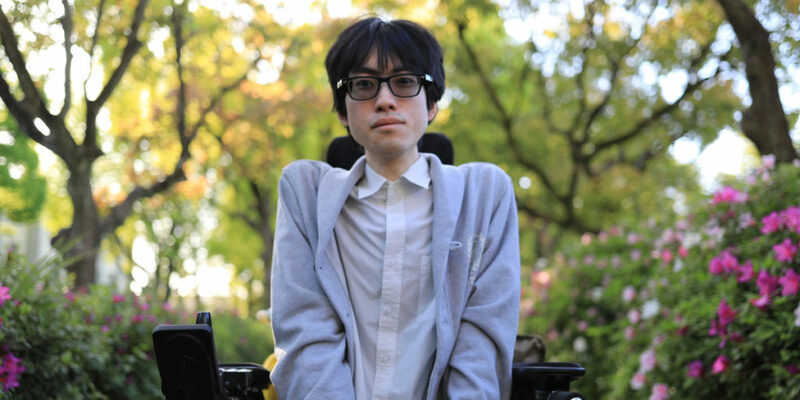 Hiroki maneuvers his wheelchair with ease through the familiar gardens, gazing pensively at the world around him. At university he studies the structures of proteins whose woven strands hold the codes that give life to everything, from the azaleas to human beings. These same strands, when altered by a single mutation, can also give rise to disease. Hiroki knows this experience firsthand. He lives with Pompe disease, which has affected every aspect of his life and inspired his passion for science; specifically, bioinformatics. From infancy, Hiroki showed signs of illness that bewildered his doctors and frightened his young parents. His mom, Kazumi, recollects holding him, his tiny body burning and flush with frequent unexplained fevers from as young as one month old. As he grew, his limbs started to become weak due to weakness in his muscle tone. With fear in their hearts, his parents brought him to Osaka University Hospital where they did a biopsy of muscle tissue and diagnosed him with Pompe disease at the age of one. “We lived in Osaka then,” explains Kazumi. 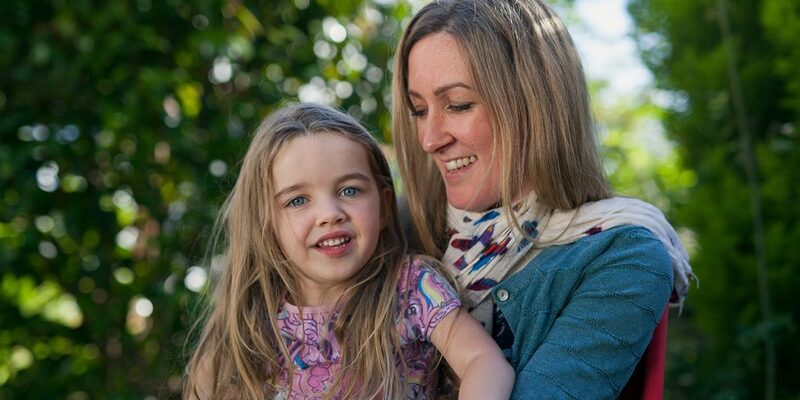 “We had no idea what Pompe disease was and were told that there was no treatment for it. We were devastated. There was no internet. We tried to look for information, but couldn’t find anything.” At that point, all the doctors could do for Hiroki was bring his fever down and treat his symptoms with pain medication. Pompe disease, his parents learned, is a rare, genetic disorder that causes progressive muscle weakness and loss of control over one’s breathing. Eventually the disease also destroys liver, heart and muscle function. Hiroki’s parents were shaken with the news that their beloved little boy, who was just learning to walk and speak his first words, faced a life fraught with pain and illness. Despite the constraints of his weakened systems, Hiroki grew to be a joyful child with bright inquisitive eyes and a shy, but playful demeanor. He seemed to be thriving. So, when he started elementary school, he began to complain of severe headaches, his parents assumed it was a calculated attempt on his part to avoid school where he was sometimes bullied and laughed at for his slowness. However, the doctors took his complaints more seriously. Through several tests it was discovered that the headaches stemmed from breathing complications he experienced during sleep. The doctors encouraged him to use a BiPAP machine at night to help him breath and increase his oxygen levels. His parents secured the plastic mask and tube to his mouth and nose and watched his eyes close as the mechanical rhythm of the machine soothed him to sleep like a lullaby. It was a harsh image: their little boy wrapped in his blanket, attached to a breathing machine. Hiroki’s condition was clearly deteriorating and it broke his parents’ hearts. Kazumi and Toshifumi were unsure how much to explain to Hiroki about Pompe. They needed to guide him through his physical difficulties, but didn’t want to frighten him. By the time Hiroki was in middle school, there was no way to hide the progression of his Pompe. He could no longer walk without help and climbing stairs was impossible. At the tender age when kids become more self-conscious of their bodies and appearances, Hiroki needed a wheelchair. “When I was younger,” Hiroki explains, “around elementary school age, my physical condition was such that there was not a huge difference between me and other kids. When I started junior high school it became difficult. I began using a wheelchair. My respiratory function degenerated. I got scoliosis that had to be corrected with a corset. It wasn’t fun.” As Hiroki’s self-awareness grew, his parents decided to tell him more about his diagnosis. 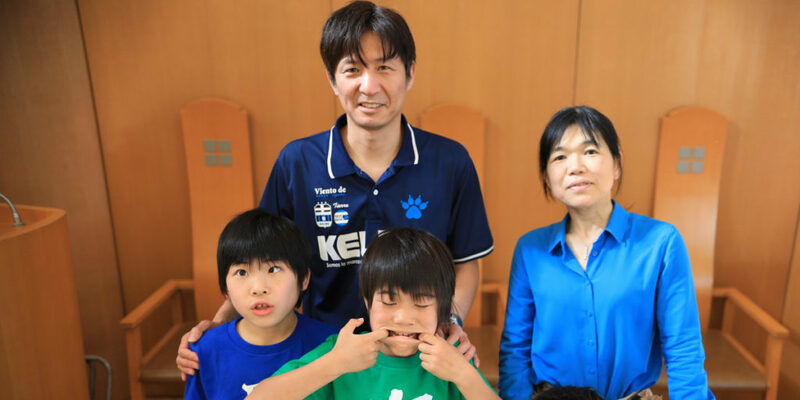 For the past year-and-a-half, Hiroki’s dad has run a popular patient organization that focuses on education and improving quality of life for those with Pompe. Hiroki says he enjoys meeting with other patients and that his parents, too, benefit from the sense of community. As Hiroki enters young adulthood, he no longer engages in the adolescent struggle to separate from his parents. These days, he feels a deep well of gratitude towards them. “The greatest feeling I have for my mother,” he says, “is appreciation.” There is a quiet presence in his words, like they are teaching a lesson––to be grateful and focus on what is good in the present moment. As the sun sets in Nagoya, it casts a sideways light, illuminating the flowers and trees. Hiroki must settle in for the evening, gather his books, dine with his parents and then delve into his studies. While his disease may be limiting, his mind is vast and expansive. He is taking nothing for granted. In March 2007, Mike was rushed to the emergency room after experiencing severe difficulty breathing. “I remember thinking they would give me a pill and I would be home in a few hours.” Instead, Mike was admitted to the hospital and told that he may never be able to return home again. Leading up to that critical night, Mike had been misdiagnosed for nine years with Polymyositis, an inflammatory muscle disease that causes painful weakness and loss of muscle mass. However, it took until his third muscle biopsy, performed in the hospital in 2007, to be accurately diagnosed with Pompe disease. Having gone untreated for almost a decade, Pompe had debilitated the skeletal muscles of Mike’s diaphragm that allowed him to breathe. In order to stay alive, he received an emergency tracheotomy and was placed on a ventilator in intensive care. Four years later, when his son, Brian, was getting ready for his 8th birthday, Mike was still in the hospital. In addition to Brian being a big incentive to return home, Mike heard from a friend about a device which was being used to help spinal-cord injury patients breathe on their own by stimulating the diaphragm. For Mike, the logic was simple. 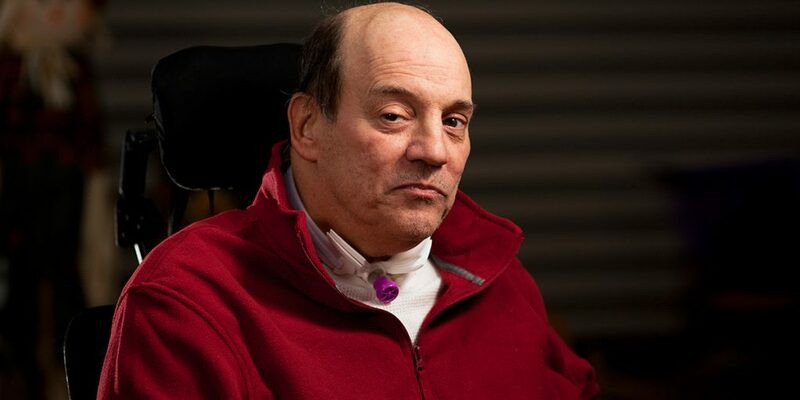 Mike, who has transformed his challenges into encouragement for others, is determined to continue his experience to expand public awareness about Pompe. He would like to see an increase in newborn screening for Pompe and other Lysosomal Storage Disorders, and plans to continue taking steps forward towards regaining an independent lifestyle. On October 18, 2012, Mike and Debbie celebrated their family’s new anniversary- the day he returned home. 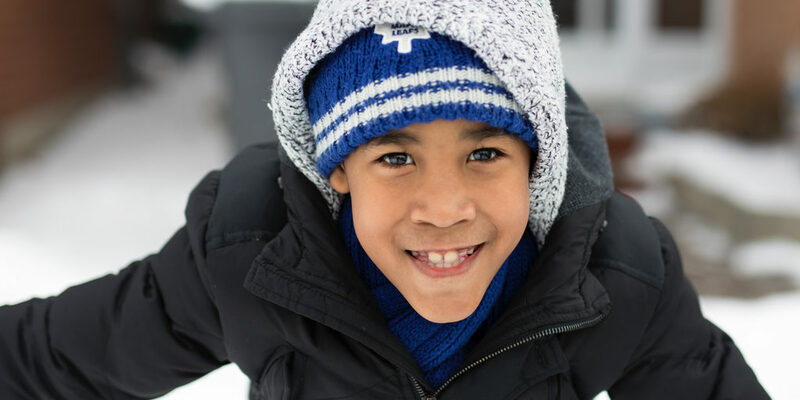 Winter weather has arrived and for Noah this means he must stay indoors—virtually all the time. “He can go out for a minute maybe,” says his mother, Tricia, from the family’s home in Whitby, Ontario, a suburb of Toronto. “We’ve learned. When he was outside for too long, the next day he has a fever.” Noah was born with Pompe disease, a rare, inherited lysosomal disorder that affects several body systems, including his muscular and respiratory health. “It’s a big weight on my shoulders,” says Tricia. “When it comes to decision making with Noah, I’m on my own. I have to do what’s best for him.” Even when it is not easy, she is forced to limit his physical activity. As a single mom, Tricia already had a full plate before Noah was diagnosed with Pompe. She raised an older son, Daryn, and daughter, Malaika, who still lived at home when Noah came along. She worked as a pharmacy technician and with some help from family members and neighbors, had been able to get by. Noah was born healthy. However, complications soon arose. Noah began getting sick from his baby formula, so Tricia exclusively breastfed him, but his developmental milestones were delayed. Doctors seemed relatively unconcerned. “They said, ‘we’ll just wait and see,’” she remembers. Around a month before Noah’s second birthday, he was admitted to the hospital and diagnosed with respiratory syncytial virus. During his recovery, a doctor noticed that Noah’s abdomen was distended. “They ordered an ultrasound. When that came back they were quite alarmed.” Noah’s heart and liver were both abnormally enlarged. But Tricia never considered giving up on Noah. “When I found out what it entailed—how many doctor visits I would need to attend—I quit my job” Her days became laden with trips downtown to get Noah set up for treatment. Despite an unrelenting schedule, Noah’s condition was stabilizing, bringing substantial relief to Tricia as well. One large obstacle that remains is his social life. Noah is often met with a damaging portrayal of “otherness,” as he has struggled from exclusion and bullying in school and at local parks. However, like his mother, Noah resiliently fights this alienation with his own gestures of love. “He loves to give hugs,” says Tricia. “If he’s not giving his teachers at school a hug, they know something is wrong.” Noah also tends to find better social connection with peers in special education, older kids, and adults. Today, a fresh blanket of snow covers the front yard of the family’s home. When Tricia finally agrees to let Noah go outside, he’s nearly out the door. Tricia pulls him back by the collar, helps him to dress warmly and then lets him loose to explore the winter wonderland. “Watch this,” he cries out in an excited, high-pitched voice. Noah free falls onto his back, landing in a snow angel formation. He glides his arms through the snow, leaving his unique impression. Then, with both hands he forms snowballs and hurls them at his nearby siblings, all the while grinning his signature smile. Rising from the gauntlet of difficulties that come with a rare disease is the fact that Noah has an incredibly supportive family, anchored by Tricia’s unwavering devotion as a mother. Despite the hours of stress and trepidation, she is grateful for what time this journey has afforded her. “Before Pompe, I always worked,” she says. “I never had time to spend with the kids. I look at this as a way of spending time with them, even though it’s not always playful.” While saying this, she’s dodging an onslaught of Noah’s snowballs, most of which explode in the air before ever making contact with their intended target. “Look at how happy he is,” Tricia remarks as a ball of snow strikes her shoulder. Noah bursts into laughter and the sounds of his joy spread wider than the spray of fresh snow. As a teenager, Sam was very active, doing everything from ballet to sailing. But she often had hip pain and was chronically tired. She went to doctors often, but was always told that she was fine. In her early twenties she took up horseback riding, but noticed that she never had the strength in her legs to get up on the horse like the other riders. And that after a minute or two of cycling her legs would give out. Still, Sam did not realize there might be a disease behind these issues. “I just thought I wasn’t very good at stuff,” she says. Since then, Sam and Poppy have figured it out together, like the way Poppy knows she has to first climb on the couch if she wants Sam to pick her up. “I always felt like we were really in tune,” Sam says. Alyssa considers herself a Butterfly Child, a term used to describe kids whose skin is so delicate, even the slightest pressure can cause severe blisters. At birth, her body was covered in air bubbles, missing patches of skin, and ulcers. Her parents were devastated. They worried whether their baby would make it home from the hospital’s neonatal intensive care unit (NICU). 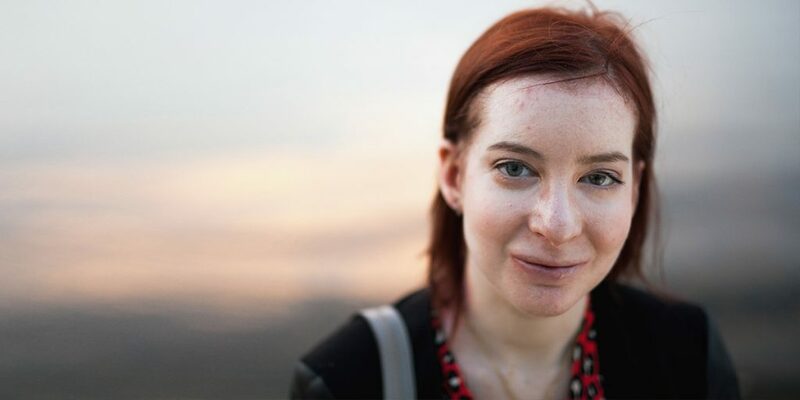 Alyssa was eventually discharged, however, with a very difficult diagnosis – Recessive Dystrophic Epidermolysis Bullosa (DEB)- a connective tissue disease affecting the skin and mucosal membrane. For Alyssa, that means there is nothing to prevent her two layers of skin from moving independently of one another, resulting in friction and skin fragility. Shearing occurs because of a mutation in the Collagen alpha-1 (VII) gene, a protein chain that functions as an anchoring fibril between the external epithelia and underlying stroma. The resulting wounds are both exterior and interior. Alyssa has a hard time eating because of constant pain in her esophagus, even though she needs the extra calories to regenerate her quickly deteriorating skin. She is also exceedingly careful to avoid any type of infection which means she is constantly dressing and redressing her wounds. Socially, Alyssa has overcome many hurdles in school, including working hard to convince her peers that her condition is not contagious in hopes of making more friends. She is able to write her own homework and has some of the best penmanship in her class. “It’s because I take my time,” Alyssa explains with a smile. 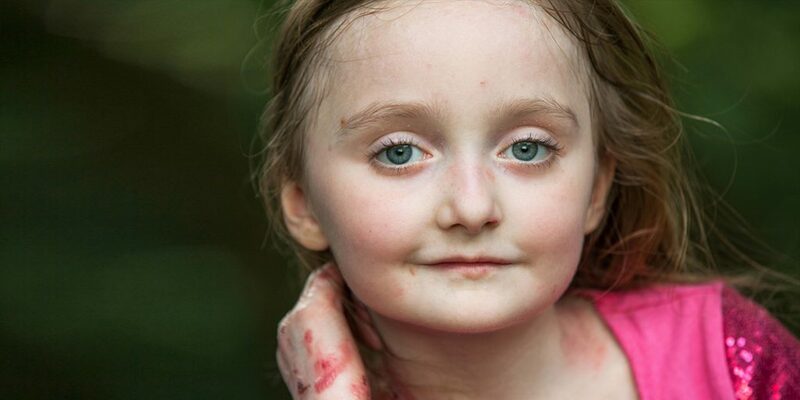 Corinne has never known a day without Epidermolysis Bullosa (EB). “I’ve never known a day without pain. I don’t know what it’s like to feel that way,” she says. Corinne’s mother passed away when Corinne was 15, an experience that later led her to attend peer support groups through her college’s counseling program. “It was powerful to be in a room with others who had gone through the same experience,” she says. She then realized that staying silent about her condition was not the best way to fit in with others. “By being secretive, it breeds shame, and that is not something I need to be doing,” she says. After earning a degree in Psychology and Sociology, Corinne had strong aspirations to help people in whatever ways that she could. And, true to her indomitable spirit, she did.